SOUTH MIAMI, Fla. (BRAIN) — Ofo, a dockless bike share operator, has begun operations in South Miami today. The mayor of South Miami, Phillip Stoddard, and other elected officials celebrated the start of the program at an event held Tuesday morning at City Hall. SAN MATEO, Calif. (BRAIN) — GoPro on Wednesday reported a 37 percent increase in third-quarter revenue to $329.8 million and net income of $14.7 million, compared with a loss of $104 million in the same quarter a year earlier. CHICAGO (BRAIN) — Thursday's Bikeshare Summit here will explore the benefits of and concerns about dockless bikeshare programs in the U.S.
SAN FRANCISCO (BRAIN) — Ofo, a dockless bike share platform, has hired former Uber manager Chris Nakutis Taylor to run its U.S. business. Ofo operates in 180 cities in 16 countries. It has launched in the U.S. in Seattle; Washington, D.C.; Worcester and Revere, Mass. ; and Aurora, Colo.
WASHINGTON (BRAIN) — The North American Bikeshare Association said it is frustrated by a decision to remove a Capital Bikeshare station from the White House grounds last week. 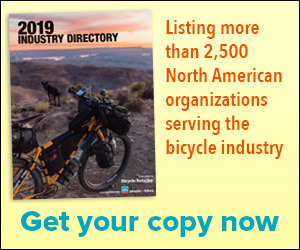 HAMDEN, Conn. (BRAIN) — Velotooler, which launched last year to help connect consumers with freelance mechanics, has updated its platform to add features for bike share fleet managers, consumer-direct bike brands and race teams. New system will be the largest to use B-Cycle's Dash system. MEMPHIS, Tenn. (BRAIN) — A 600-bike bike share system is planned for Memphis, where Explore Bike Share, a local non-profit, has announced its contract agreement with B-Cycle. TAICHUNG, Taiwan (BRAIN) — An article that popped up on a Chinese website that covers venture capital investment caused a stir last week. It reported that Ofo, a Chinese bike sharing company, was looking to purchase Giant Manufacturing. DETROIT (BRAIN) — Detroit’s new public bike share system, set to launch in late May, will be named MoGo, Detroit Bike Share — inspired by the city’s heritage as the Motor City and the home of the Motown sound. AUSTIN, Texas (BRAIN) — Spin, a San Francisco-based bike share company, is launching a new bike share system here that requires no kiosks, or stations. Riders — who can borrow a bike for $1 per ride — can pick up and leave a bike almost anywhere.